While Louisville has its Kentucky like Marquette has its Wisconsin, something special happens every time the Cards and the Warriors meet up. Take this audio from a decade ago, January 3, 1998. Wardle hits to win the game, 71-70. Since 2000, MU and UL have matched up 16 times. The record? A fitting 8-8. Nearly half of those games, the visiting team has won on hostile ground. Overtimes, triple overtimes. One, two, three point games, won on the last bucket, time and time again. Strap in. Want to Win the Big EAST? How about starting by winning some games on the road? Maybe against a key rival? How about against a team that we love to hate? Here are the Top Five Numbers to Know about Louisville. As always, information comes from Pomeroy's Scouting Report and Game Plan. 66% - Pomeroy's computer simulation gives us a 66% Chance of winning this game. Expecting the run-and-gun pressing team from Louisville? Maybe, but it's not helping them force a faster tempo. OR% is the ratio of total potential offensive rebounds. Team OR / (Team OR + Opponent DR). Each defensive rebound by the opponent is a potential offensive rebound. Will Marquette be able to recapture the Offensive Rebounding prowess? Although the reputation of Pitino's teams is that of the running, pressing teams that drop 100 points, this year's Louisville team is largely winning on interior defense. I actually think that a quicker pace helps tip towards Marquette's favor, but only if that means we're able to create offensive rebounds and quality shots in the paint. Expect another great game on Thursday night. Overtime, Triple Overtime, maybe more. Missed Card Game blog in Louisville. I'll take MU and the 3 points tonight. Wow make a damn shot. If you can't make a jumper go to the hoop. 7pts in 12 mins. This is what I fear about this team. You live by the jumper you die by it. Can win 3 rounds in the tourney or be one and done. Facts are facts and Crean hasn't proven to be a good game coach. How about making an adjustment? Wow, I really hope we learn some stuff from tonight, because this was just a horrible performance by our boys in powder blue. 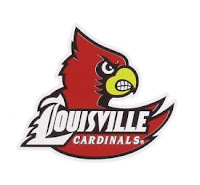 All our weaknesses were exposed and the Louisville fans can bite me for cheering when James got injured. At least Pitino didn't yell to James "stop faking" like classless Crean when Ellis Myles went down.